Ideal for filling 1 gram to 4 oz. Just like the name states. This filler is the perfect solution for your small fills or short runs. It can be foot pedal operated or mounted on a form fill seal machine to run automatically. The perfect solution can fill free flowing or non-free flowing powders, creams, and lotions. Multiple augers may be needed to run different fill weights. From our many years of experience in the industry, we understand our customers and their business concerns, especially when it comes to minimizing operational downtime. 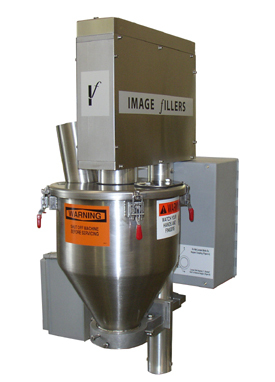 From providing master-engineered new auger fillers to cost-effective supply parts, to refurbishing older equipment and providing warranties, Image Fillers, Inc is focused on providing our customers with the highest quality products and service to fulfill their image of how business should be done. Copyright © 2019 Image Fillers Inc.